Last Friday, Nintendo released Pikmin 3 in Europe, its first truly compelling 3D adventure game for Wii U. Playing it feels like a bit like stepping into a time machine, to a 2007 in which the company released a more powerful HD console instead of a GameCube extended with motion controls. It’s glorious: detailed, well-made, unique, addictive. The game has a somewhat unfair mission: saving the Wii U in a time when Nintendo isn’t doing all that well. The 3DS’s fortunes seem to have been turned for now, with a lower price and an impressive, growing game library. But a similar revolution seems tough to pull off on the Wii U front: a price drop should be nigh-impossible for the console and tablet combo, as they’re already being sold at a loss. And at 3.5 million units sold, really taking advantage of the economies of scale seems quite far off. Simultaneously, Nintendo’s Entertainment Analysis & Development (EAD) department is having a hard time scaling up to full HD quality, making a 3DS type software avalanche wishful thinking at best. In all, Pikmin 3 is the first great EAD game since New Super Mario Bros. U in November, and it’s not a typical system seller, while something essential like Mario Kart 8 isn’t arriving until next year. 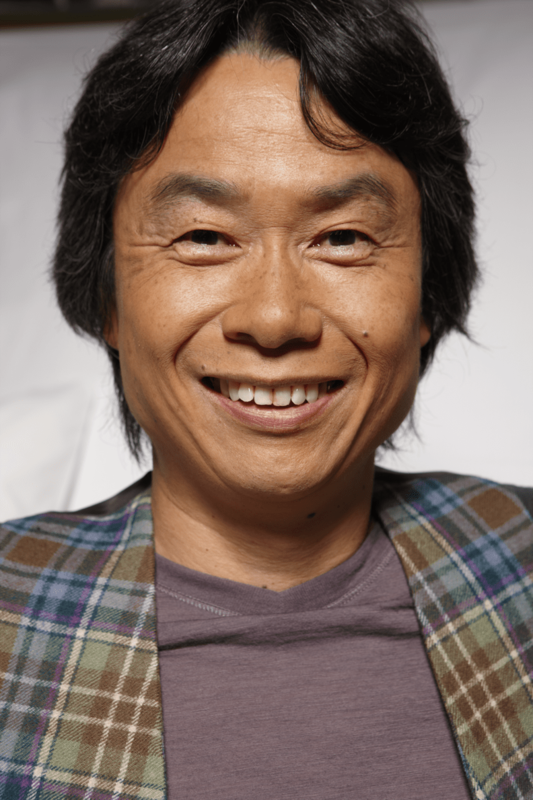 Despite all this, I got the chance to do a Pikmin 3 interview with Shigeru Miyamoto, the general manager of EAD, and, oh yeah, a living game design legend as well. The interview was done via email for nrc.next, a Dutch daily newspaper. The email setup wasn’t ideal, and time constraints at Nintendo’s side kept me from sending in some follow-up questions. Still, I think there’s some interesting stuff in here. So for your reading pleasure, here is the unabridged, lightly edited transcript of our long-distance conversation. 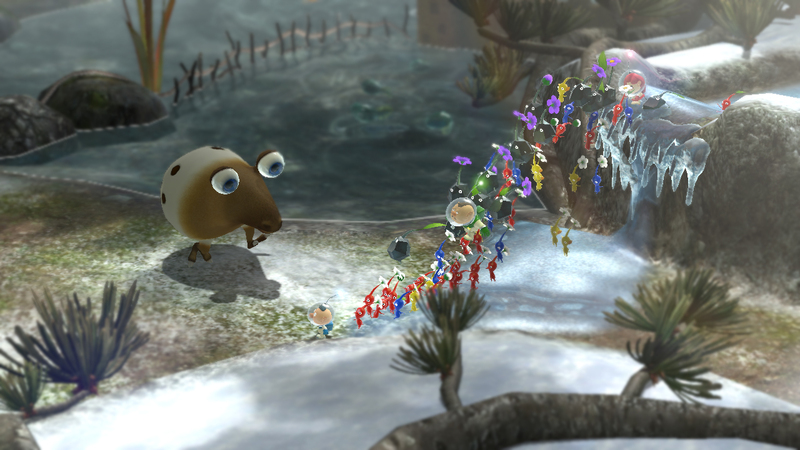 Pikmin contains puzzles, adventure and strategy. How do you categorize it yourself? “It’s an action game in which players make a number of Pikmin work, and the Pikmin move with artificial intelligence (AI), so I call it ‘AI action’. Pikmin shows how harsh nature can sometimes be, like when a bunch of your helpless carrot men get eaten by a gigantic lovebug. Is this something you set out to convey? The game is also about multitasking. Quite apt in the current age. How did the original Pikmin concept come to be, more than ten years ago? 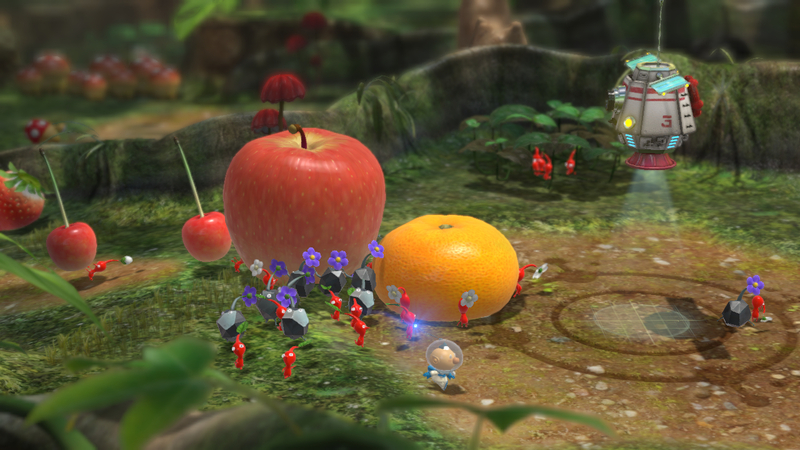 Pikmin became possible because of the power of the GameCube, which could draw a hundred Pikmin on-screen. Why don’t you make a thousand-Pikmin-game for the even more powerful Wii U? It’s been almost a decade since Pikmin 2 came out. Aren’t you afraid that people have forgotten about the series by now? Is there a maximum period of time you can wait to make a sequel? You first hinted at the existence of a Pikmin 3 in July 2007. That’s six years ago. Can you describe the game’s development path in the meantime? 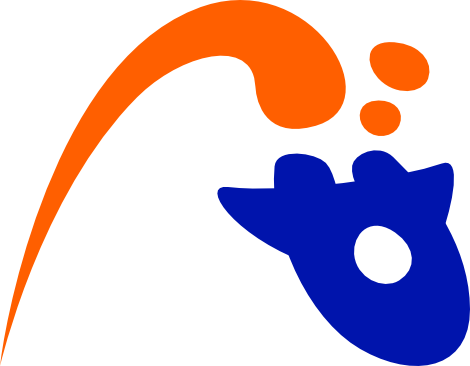 “Even before 2007, right after the release of Pikmin 2, the development team was already working on a test production of the next Pikmin. In fact, each time new hardware such as Nintendo DS, Wii and Nintendo 3DS came out, they did a test production. All the ideas that came up then, were applied to Pikmin 3. How involved are you personally in a game like this? Is there an element that you really made your mark on? “There is no element that I can say is ‘mine’ completely, as I have developed the game together with other staff. I, however, took particular time to discuss how the Wii U GamePad should be used and what the most comfortable operation method would be. “Another big discussion was the benefit of creating new types of Pikmin that are different to the ones in Pikmin 2, and how they might change gameplay. 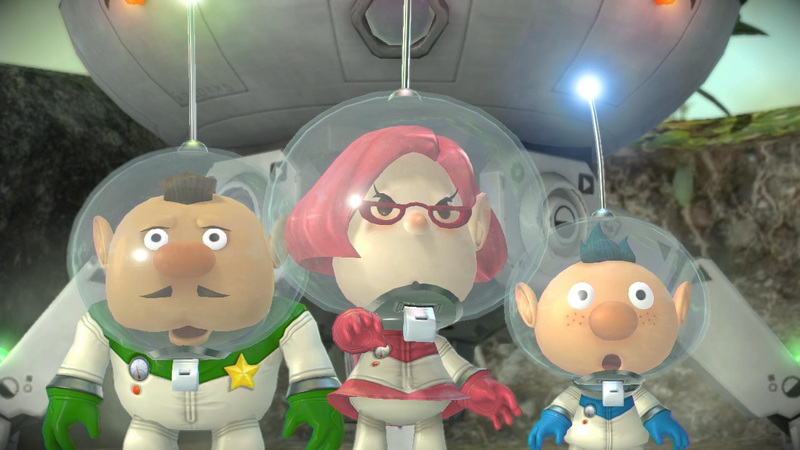 A Pikmin animated cartoon is being made for Nintendo 3DS. Why do you feel this game lends itself to such a media extension? If I’m not mistaken, Pikmin was the last time you worked on a truly new adventure type game. Don’t you miss this?